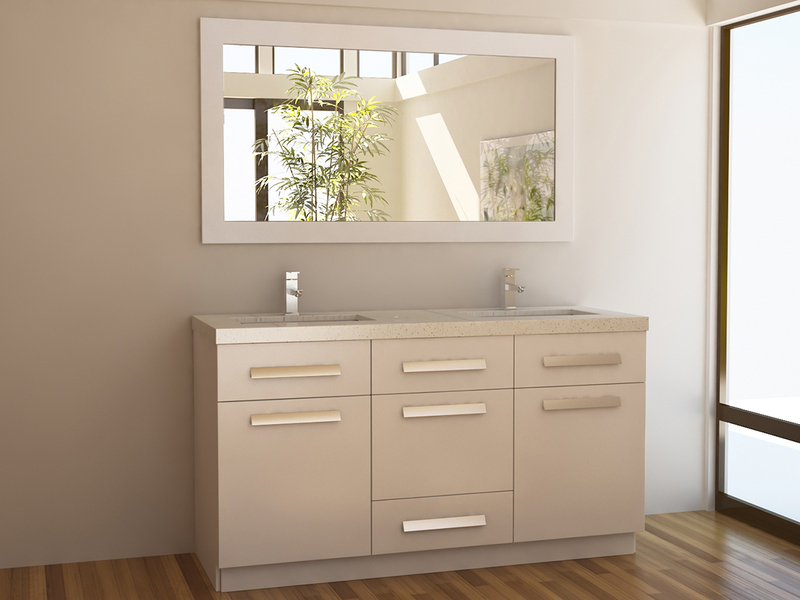 Give your bathroom a sophisticated, modern appeal with the 60" Moscony Double Sink Vanity in White. Its beautiful design features simple clean lines and wide brushed handles for a ultra-modern appeal. Its cabinet makes a bold statement that offers soft-closing cabinets and large functional drawers for maximum storage space. 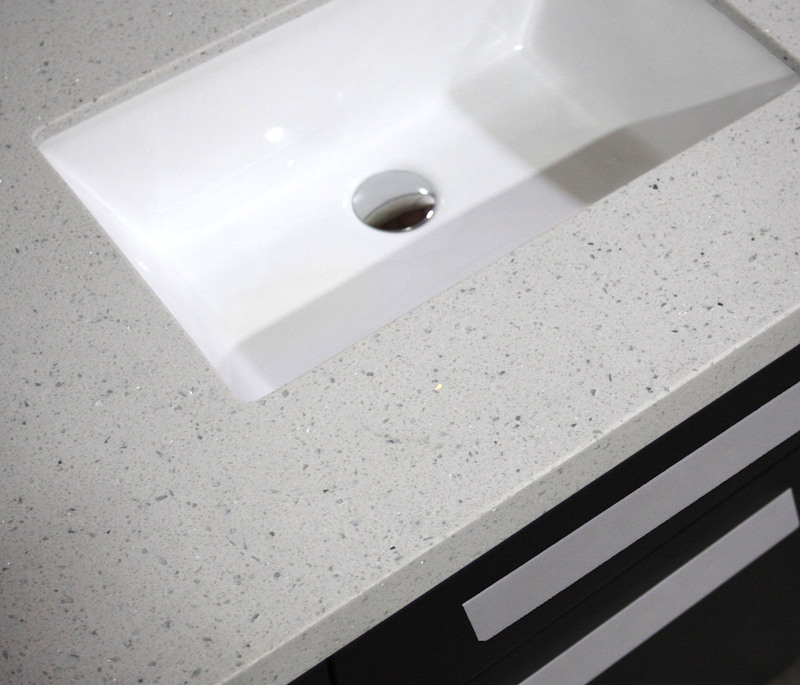 The rectangular porcelain sinks have a sloping design. A large framed mirror finishes off the look of the Moscony, giving your bathroom a completely new look.